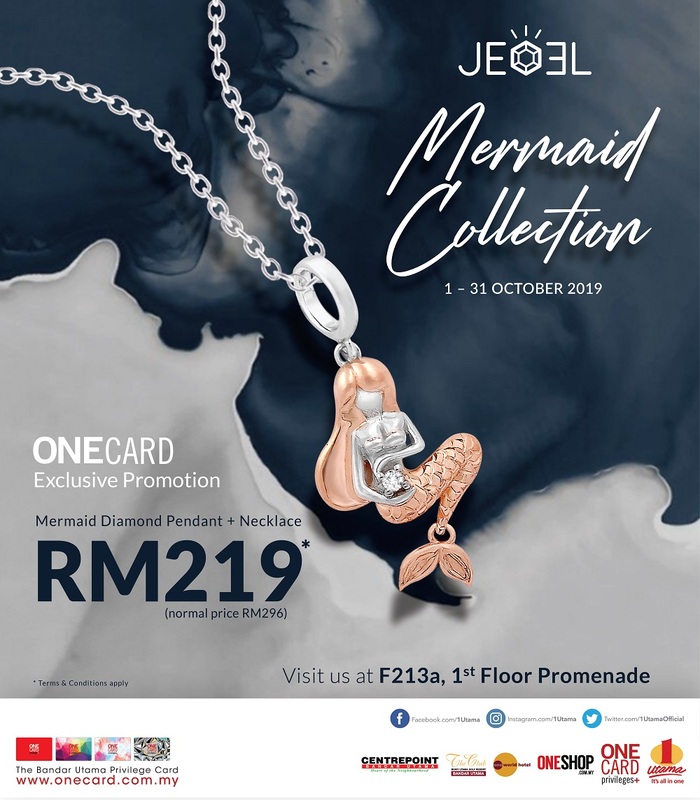 Earn RM5 cashback for your FIRST 1PAY Transaction of minimum RM30 in a single receipt via 1PAY Mobile* within promo period at any 1PAY participating outlets. *Valid on FIRST 1PAY transaction via 1 Utama’s Mobile App within the promo period at any 1PAY participating outlets. 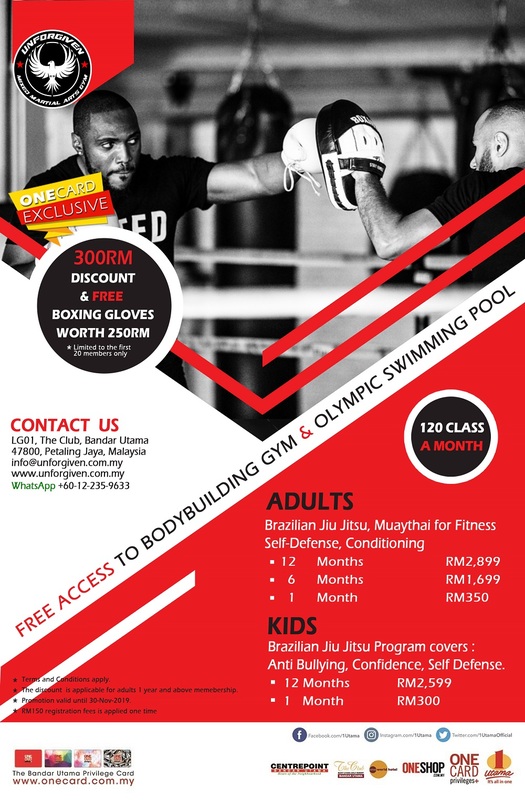 * Limited to ONE-time cashback per member throughout promo period. Other T&Cs apply. 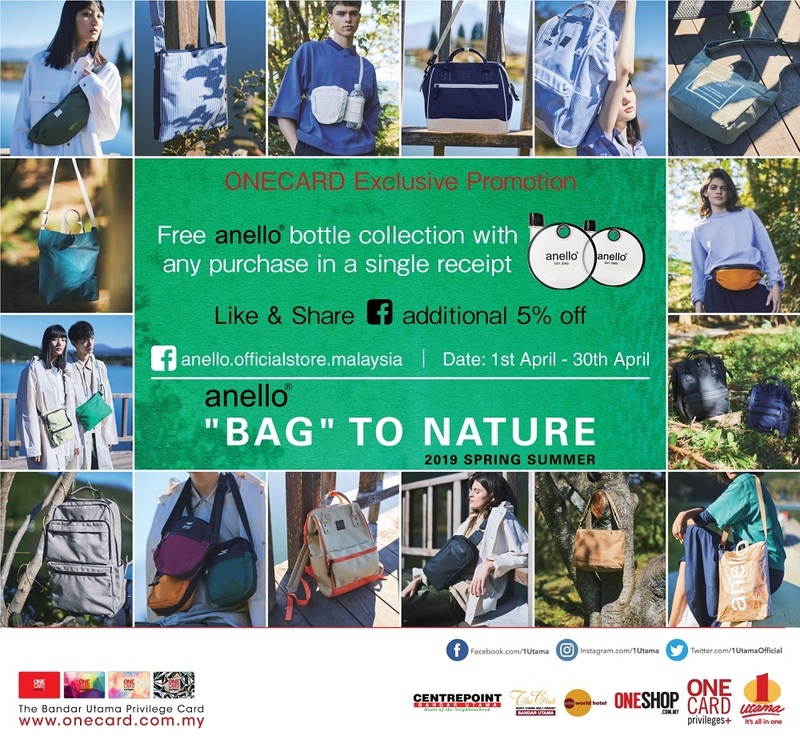 Free anello bottle collection with any purchase in a single receipt. T&Cs apply. 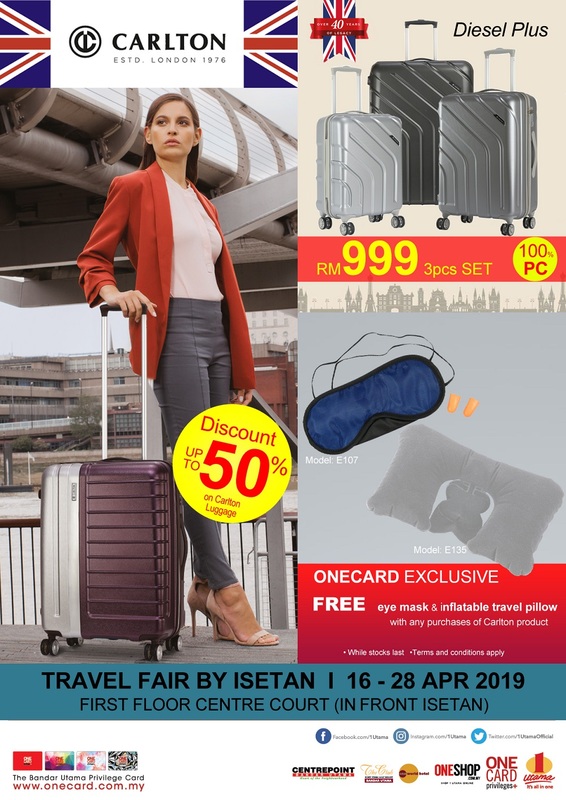 Receive a free eye mask & inflatable travel pillow with any purchase of Carlton product at roadshow (1st Floor Opposite ISETAN) only. T&Cs apply. 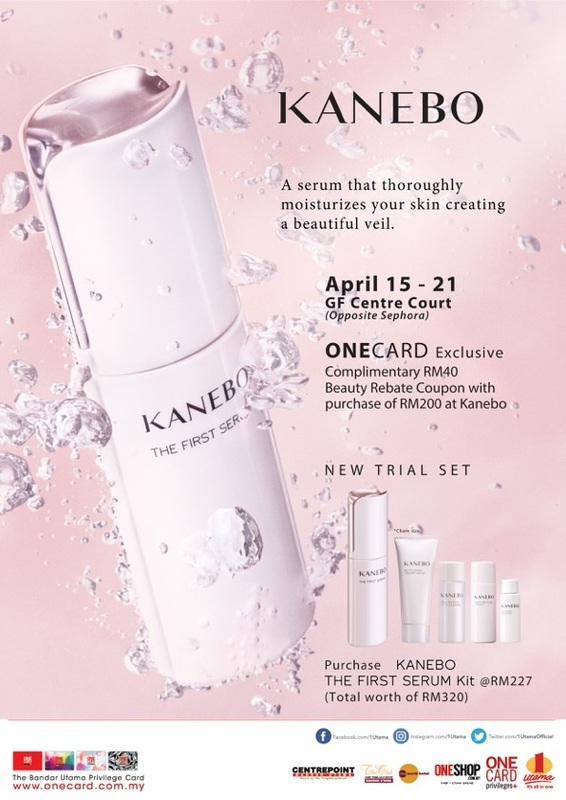 Get a complimentary RM40 Beauty Coupon with purchase of RM200 of Kanebo at roadshow (G Floor Opposite ISETAN) only. T&Cs apply. 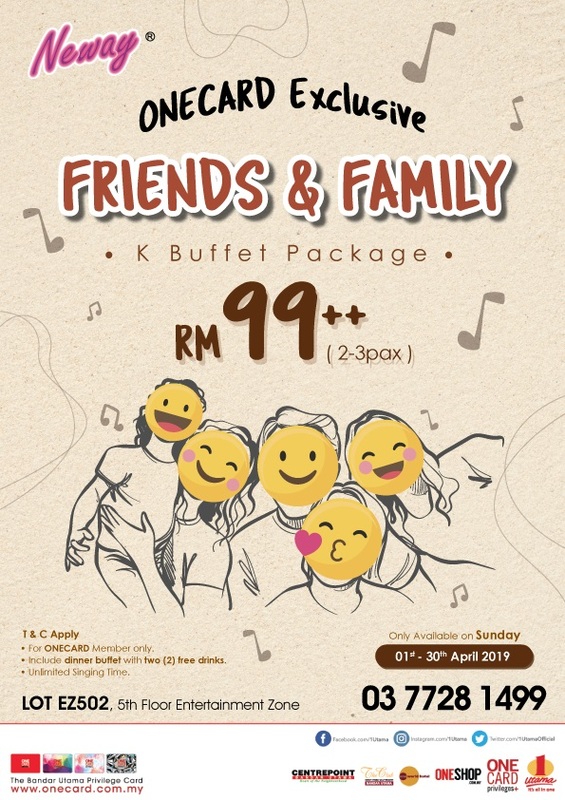 K Buffet Package at RM99++ for Friends & Family only on Sundays. T&Cs apply.